This is an advanced level manual covering close-quarter combat situations involving possible deadly force situations. These include defensive measures to counter chokes, head locks, ground attacks, club attacks, multiple attack counters, knife threat and knife attack counters and gun threat counters. 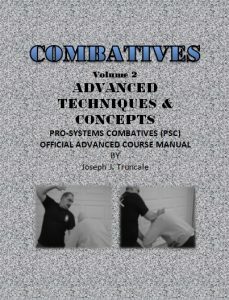 This manual also covers stress inoculation drills, combative drills and how to train when alone.